Mazda’s new Mazda3 hatchback will be officially revealed later this month at the L.A. Auto Show, but test mules are still clocking up miles in testing. Sadly, the sleek new compact model is still sporting full camouflage in these latest spy shots. The new Mazda3 is poised to become the best-looking alternative to the Civic or the Corolla if we take into consideration the Kai concept. Sure, not much can be seen under all that wrapping, but the aggressive nose is a sign that some of the concept’s traits have made it into production. 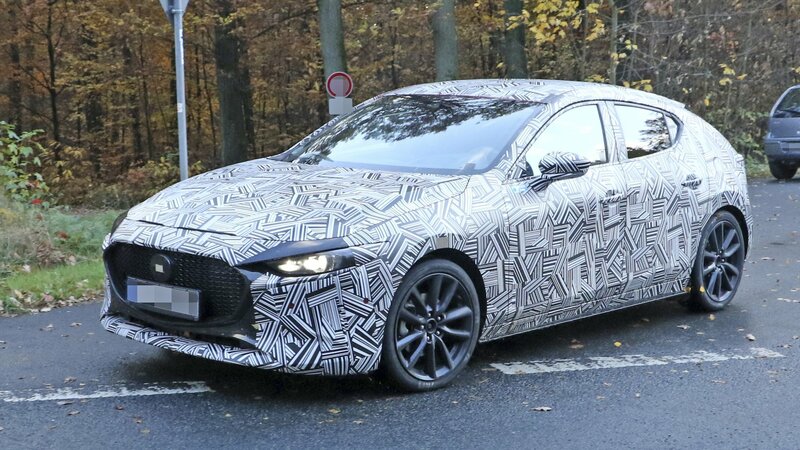 The Japanese manufacturer has released a number of teasers, but these are some of the best images we’ve got of the new Mazda3. What is more, photos of the interior have also emerged and, with a new steering wheel in place, it looks like an interesting proposition.